Let's be honest, we all love a good bargain, right? I've always loved hunting down the best deals for things I have my eye on - especially when you're on a budget, getting 20% on this amazing jacket you've tried to get your hands on is great! And there is nothing like a good sale purchase where you basically make money because of how much you've saved, right? A couple of weeks back, I shared some tips on how to make a budget work for you - one of them being: shop during the sales. Although I spotted a sign at Mango the other day saying that it's Mid Season sale already (seriously though - Mid Season Sale when the new season has only started like 2 weeks ago?! ), twice a year, Glamour Shopping Week allows us to make some great bargains at the beginning of April and October to shop for the season ahead with often 20% off. 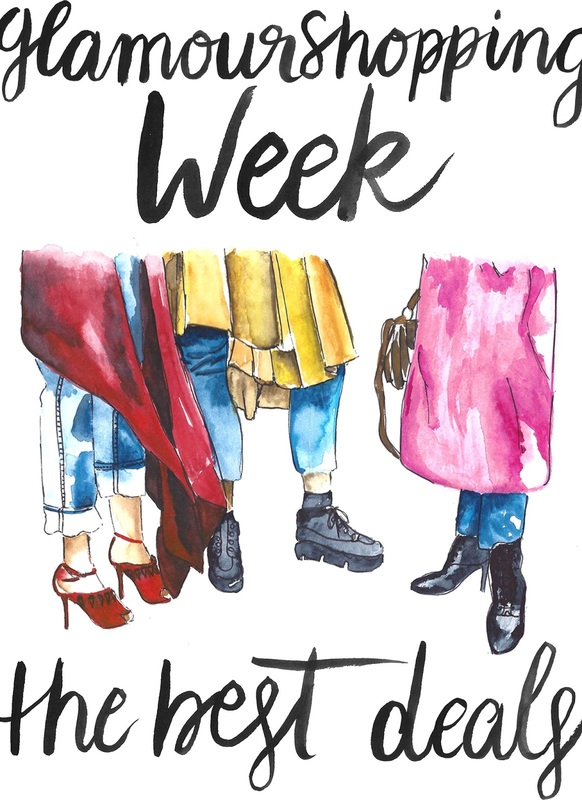 Unfortunately, the Glamour Shopping Week is only in Germany, but for all of my German readers, this post might be really useful because with 180 shops participating, things can get a bit messy. With the purchase of each Glamour magazine (3€), you get a Glamour Shopping Card which allows you to shop at your favorite stores with amazing discounts (for the online shops, codes can be found in the magazine). Happy Shopping! GUIDO MARIA KRETSCHMER cream knit: We all love the cream and black sweater from Zara that everybody is wearing right now and I will defenitely try to get my hands on it in Lisbon (hello 10€ off at Zara! ), but in case I don't get lucky, this one looks great - and the little turtleneck keeps you extra warm. MATT&NAT beige bag: About a month ago, I published a post talking about what to wear this autumn. One thing I mentioned is wearing more neutrals such as cream or beige. This beige bag has the perfect color and I think I would look amazing together with gold details and black. Also, Matt&Nat produce sustainable bags, so they are defenitely worth checking out. LEVI'S 501 skinny jeans: I am usually not someone to invest in denim, because my favorite jeans are from Vero Moda or asos. However, I've had one pair of Levi's jeans since late 2012 (!!) and they are still going strong. I am a strong believer in the "Cost Per Wear" Theory, so they would defenitely be worth investing in and getting 20% off a pair of jeans is amazing - and make them more affordable as well. PIECES black belt: This is defenitely not the most exciting purchase, but I wear a belt every single day. I only have one with studs all over it and when wearing rather girly outfits, I've been craving a simple black one with a gold clasp. Now, I know the clasp on this one is not gold, but I've seen it in store already and it looks so sleek and elegant. 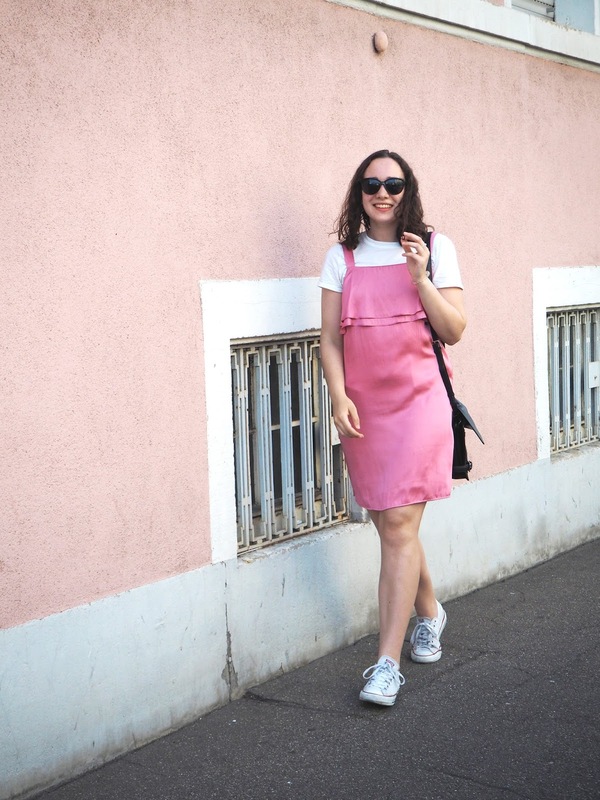 VANS old skool sneakers: I am a sneaker girl at heart, which is probably no news to you, because when I am not wearing espadrilles or boots, sneakers are on my feet. Lizzy Hadfield has talked about these Vans old skool sneakers so much and even said that they are the best sneakers she owns. At the beginning I wasn't a big fan of their style, but they defenitely grew on me - and getting 30% off on a pair of shoes seriously saves some pennies. ASOS blush pink coat: Now, I have quite a history with blush pink coats. 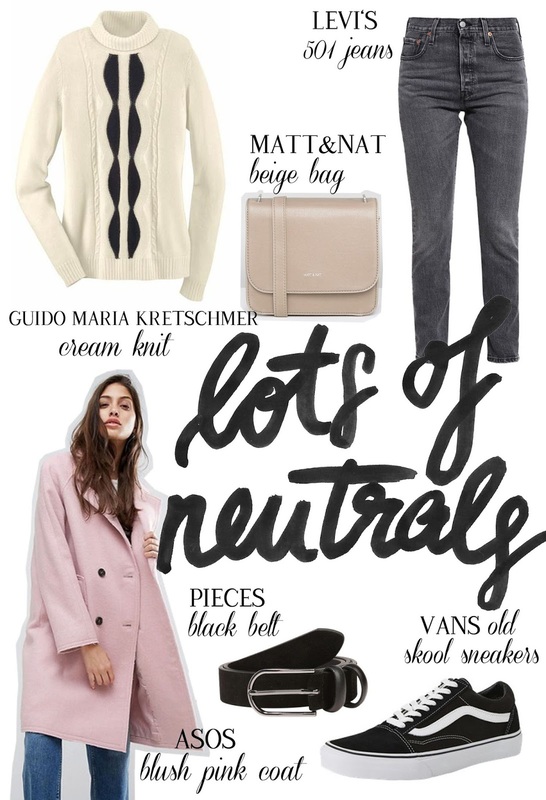 Since 2013, I've had my eyes on a blush pink coat, because I believe they go with so many things and are the perfect alternative to my other black coats. But can you believe how hard it is to find a coat that is affordable, as a nice color and the right fit?! This year around, I found a coat at Gina Tricot that is as close to perfect as no coat before, ordered it only to receive a mail afterwards that it was already sold out at the time I hit the order button. Seriously?! Now, I am hoping that it will get back into stock so I can score some extra 20% off as well. Ich liebe die Glamour Shopping Week und habe sogar schon zu geschlagen. Ganz besonders habe ich mich dieses mal über die 20% Rabatt bei Urban Decay gefreut. die levis jeans sieht toll aus!